Bernardo Gutierrez de Lara is a Texas hero, but you probably have never heard about him. His name is not mentioned in Texas history classrooms, at least that was my experience. Luckily for us we have Antonio Lopez to tell us more about him. Mr Lopez grew up hearing stories, about Don Bernardo, from his own grandmother. Join us in February the 7th 2016 for his presentation on "Bernardo Gutierrez de Lara" whom was born and raised in La Villa de Revilla, present day Guerrero, Tamaulipas. 3:20 PM - Networking time to meet each other and talk about research. Don't worry, join Las Villas del Norte today and you can watch this presentation online two days after it is recorded. 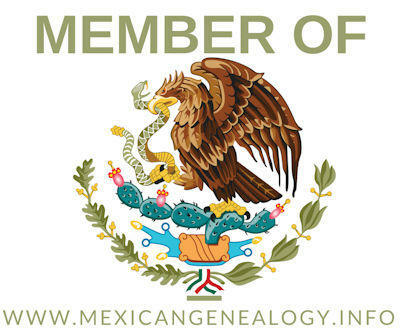 You will also get our printed book "Las Villas del Norte, The 1757 Censuses of Laredo, Dolores, Revilla, Mier, Camargo, and Reynosa", the e-version of our 2016 Journal, plus a ton of other great resources to help you in your genealogy.